Today’s synchrotron light sources are stadium-sized machines that use accelerators to generate exceptionally intense X-ray beams. These X-rays can “see” inside structures, devices and tissues, illuminating the molecular level of all sorts of matter. X-rays are electromagnetic waves of high energy with short wavelengths, which are able to pass through many materials. These X-rays are absorbed, in different degrees, by different materials, and the “shadows” formed by the passing waves are photographed. For instance, dentists routinely use X-rays to diagnose a cavity, as tooth decay shows up in an X-ray image as a dark spot, compared to the enamel of the healthy tooth, and airport security teams check X-ray scans to see what’s inside backpacks and pockets. In a similar way, materials scientists studying the most complex scientific questions of our time use probing X-rays for advances across scientific discipline – except the X-rays at today’s APS are up to one billion times brighter than at a typical dentist’s office. The APS upgrade project (APS-U) will increase the brightness of these super-bright X-rays another 100 to 1,000 times, depending on the technique used, which will allow scientists to study matter at the atomic level. 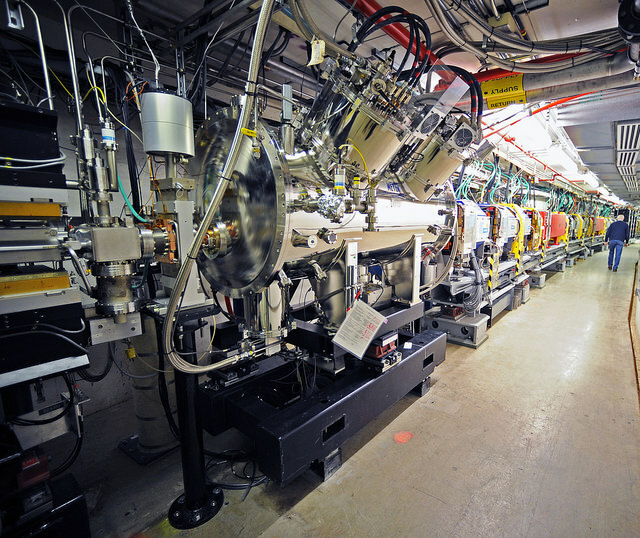 Synchrotron light sources such as the APS can produce the extremely bright X-rays. At the APS, electrons are accelerated to very high energies inside a linear particle accelerator, or a LINAC. These electrons are then injected into the 1.1-kilometer circular storage ring, where they move at nearly the speed of light. 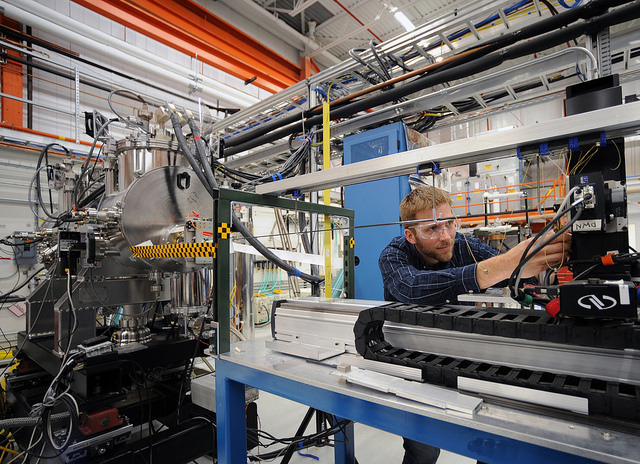 X-rays are extracted from the storage ring into beamlines, which are equipped with experimental endstations. There, researchers use varying instrumentation to investigate the structure and chemistry of matter in a wide variety of systems, across a broad spectrum of time and energy scales. The APS has 68 endstations, where researchers can take still images or video images.